Our Danish Superior Retro Rooms are approximately 16-17m2. All rooms have double mattresses, 160-180 cm. 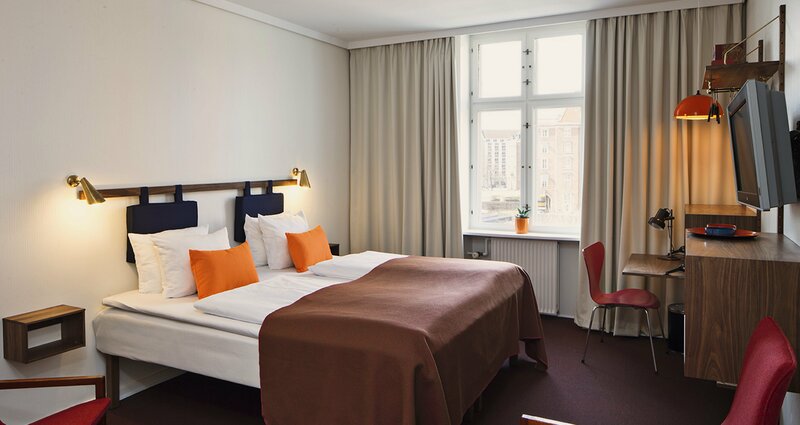 The Superior Double Rooms are overlooking the boulevard (H. C. Andersens Boulevard) or the courtyard, and they are decorated and either 50s style or 60s style. In the heart of the City, feel free to contact us. Restaurants, museums and posh cafes. Check our suggestions here.